Our listening tour momentum continued on June 10th as we ventured into the Bay Area for a back to back stop (the previous stop being in San Jose on June 9th). The Oakland/ San Francisco tour boasted an intimate gathering of leaders from influential organizations such as Californians for Justice, Young Invincibles and New America Media just to name a few. 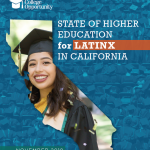 Participants began by reviewing the Bay areas performance is six key college measures (see the San Francisco Bay Area higher education profile) and as reform topics were introduced, the discussion quickly turned lively. Below are some of the top level priorities and insights that were captured during The Bay Area Listening Tour. Expanding eligibility through A-G completion got overwhelming support with participants. Participants agreed that the opportunity to be ready and eligible for a four year college could and should be the default in high schools. This can also be seen as a strategy to keep students from opting out for easier classes that would not give them the same benefits. Technology was also an important topic of conversation in the Bay Area. Leaders discussed the value of technology as a resource, noting that it needed to be a tool used strategically and invested in carefully. Many people saw value in blended learning where targeted instruction and online learning, would complement in person learning, while making access easier for students challenged by the distance of rural communities from the colleges. Listening tour participants voiced the need for the state to have explicit statements and well-articulated goals for closing equity gaps by race, not only in one campus or region, but all across the state. Given that equity raises many barriers for students early on, there was also a sense that this issue needed to be addressed sooner. Participants had varied opinions on how to improve funding. 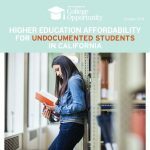 The debate centered on two conversations, one being whether funding should be tied to student success and the other calling for a new process to fund higher education altogether. Participants noted that there are huge inequities in the way some programs are funded. 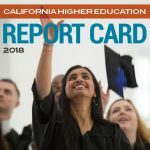 To ensure accountability from our colleges and universities, leaders focused on greater transparency and a different approach to funding higher education that focused on outcomes. Participants thought that we should be cautious of perverse incentives and instead look for a model where students and schools share accountability. Participants agreed that empowering regions would respond to the current challenges in California, but also seemed like an odd solution given that we live in a global economy. Although listening tour participants overwhelmingly saw improving financial aid access as the top priority of affordability, they did not agree with making FAFSA a requirement for high school graduates or colleges students. 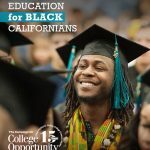 Leaders acknowledged that community college students faced the most challenges in financing their college education and receive the smallest amount of financial aid. 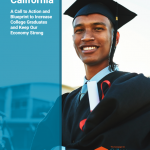 Leaders felt that a consistent tuition/fee policy is really important and that setting a consistent tuition/fee policy should also mean that a consistent funding commitment from the State of California for colleges and universities would also be in place. Thank you to the Education Trust-West for their partnership in this listening tour stop and to all of our enthusiastic participants that day! Next stop: San Diego!